I am in love with all things tea, I love watching it steep, I love taking a sip, and I love how refreshing it can be; but I especially love when teas have benefits. 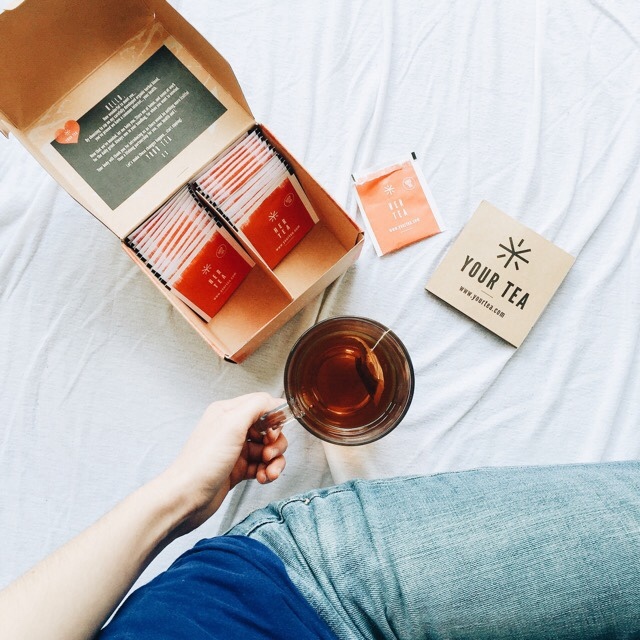 I first found out about Your Tea a few years ago when a friend told me about this teatox she was doing. From then on, I was interested in Your Tea. They have so many different types of tea to choose from, and so many areas that their teas help with. I got Her Tea for free because I took advantage of their Mother's Day deal, where you buy any box of their Mood Teas, and you get a free Her Tea. I had been wanting to try Her Tea because for the past year, I have been dealing with hormonal problems. I have been trying to deal with it in natural ways, and a cup of Her Tea twice daily has been extremely helpful. 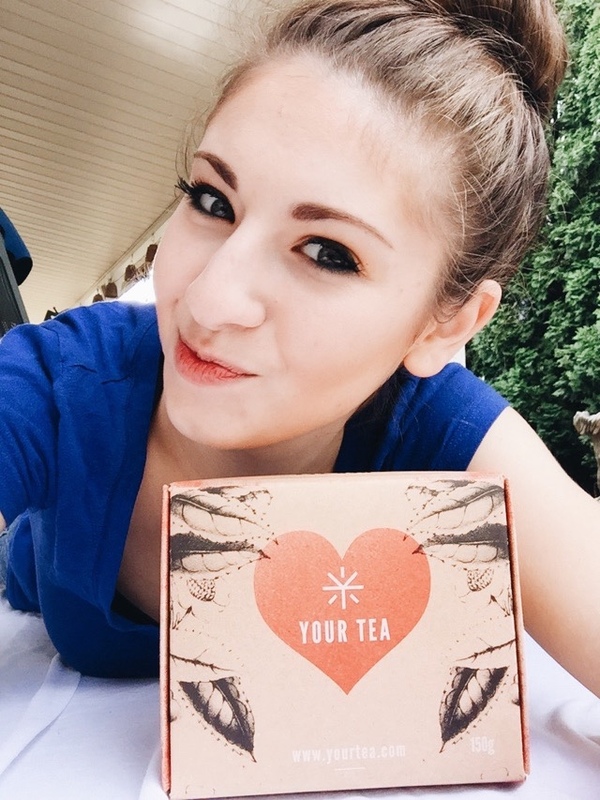 I posted about Your Tea's Skin Magic Tea last Summer (you can find it here), and I loved my tea ritual with that box of tea, and I have adopted it with this box of Her Tea. It is a great way to wake up in the morning, and a great way to wind down in the evening. Your Tea states that you should not drink any of Your Teas with food, but rather wait 30 minutes before or after you eat to consume their teas. As this tea (and most of the other Your Teas) aid in better digestion, Your Tea highly recommends that you sip your tea in warmer temperatures rather than sip it on ice, or the colder temperatures. I figure since they are experts on their tea, I follow their tea-sipping rules to a T. Really, no pun intended. Her Tea is helpful in many areas, as the beautiful blend of oolong, ren shen, ju hua, dusong guo, wu wei zi, xun yi cao, and gou qui help to boost immunity, makes skin glowy, enhances mood, alleviates PMS, calms digestion, and balances hormones naturally. When your systems are down, and slow, your skin and hair show the first signs of an unhealthy presence. With the gentle detox that Her Tea provides, your skin, hair, mind, and body all around will be balanced, and beautiful. When I first started drinking Her Tea, I was drinking it along with Sleep Tea. I would drink Her Tea in the morning, and a cup of Sleep Tea in the evening, because we all know that a good nights's rest is important for healthy systems as well. A little natural sleep aid is never something to be ashamed about, especially when it tastes so lovely. There is honestly no other way to describe the taste of Your Tea. It is just lovely, it is how tea is supposed to taste and feel. I noticed improvement in my skin, my mood, my health very quickly after being consistent with drinking Her Tea; I felt better, my skin looked beautiful, and my hair felt and looked healthy. 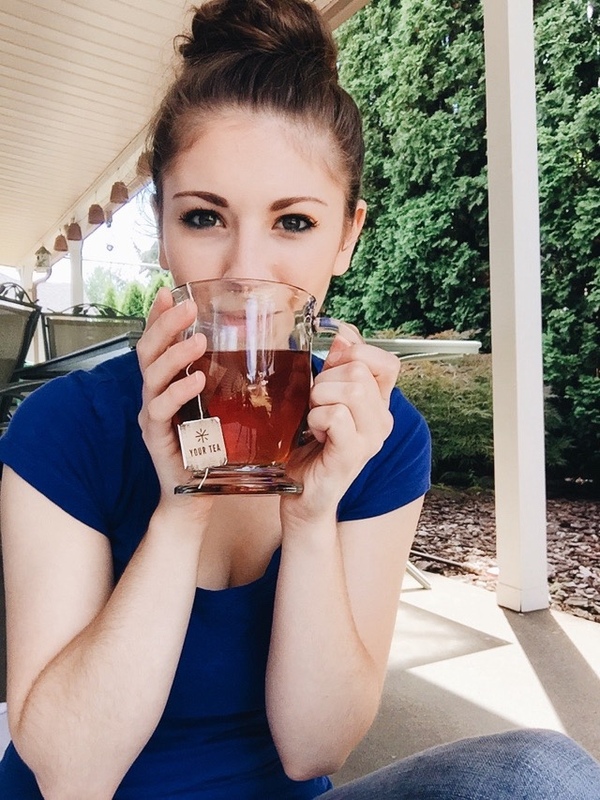 I fell out of my tea routine a little while back, and it was incredibly noticeable. My skin was starting to go back to tired, and blemished. I was getting sick, and I just didn't feel up to par. I definitely need to get back into my tea routine again, especially since I am moving and making big changes in my life, I need to keep my systems in check. 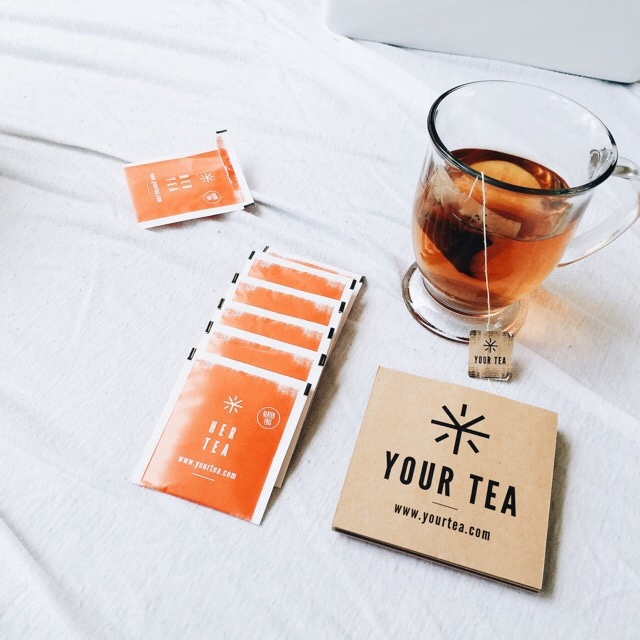 Your Tea was created by Aussies who wanted to find natural ways to treat, detox, and aid our body systems, using only the finest, organic ingredients from China. Not only are their ingredients beautifully natural, but look at that attractive packaging. A review would not be complete without assessing the product packaging. That is something that drew me into this brand, their logo, and their tea packets, the different colors that they use for each tea. It is all very eye-catching and attractive. I love that the box they house their teas in are simple parcel type boxes, with a touch of color, and of course a rockin' type face. When a brand embraces the simplicity in their package design, I think that a brand benefits greatly. 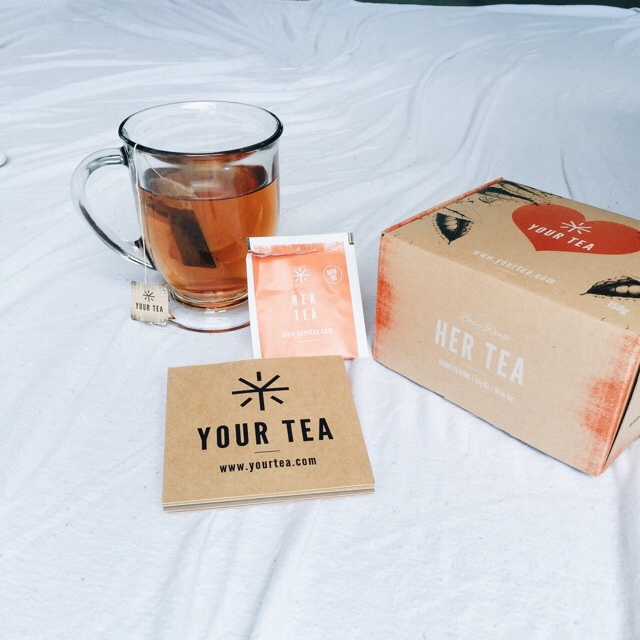 Your Tea is one of my favorite tea brands out there, and I am so glad that they ship internationally. I would be sad if I could not partake in sipping their tea. I will always be a Your Tea customer throughout the different stages of my life. They have teas that help boost fertility, breast milk production, happiness, energy, and this might a bit cheeky, but they even have a tea that helps improve libido. It is incredible what a blend of powerful herbs in a bag can do for a person. I recommend Your Tea to anybody who is looking for a way to achieve clear skin, lose a few pounds, or who just needs a health boost all around. 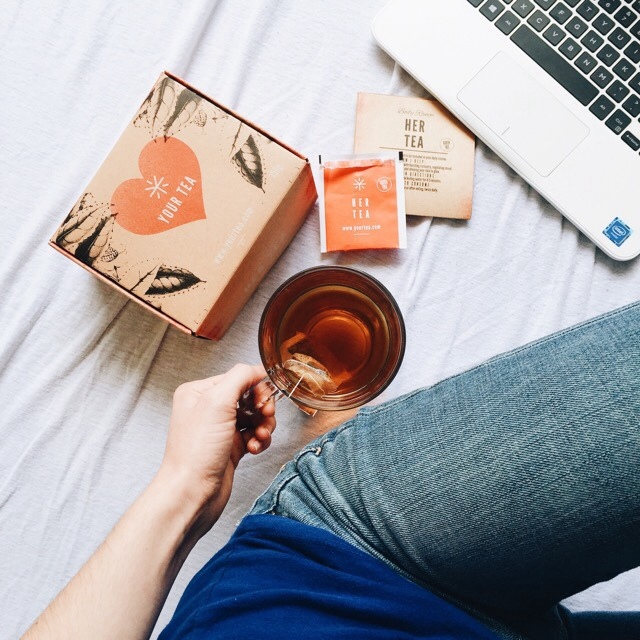 I love Your Tea products, and I would not post about a brand TWICE if I was not in love with it. Try Your Tea yourself, visit their website, and browse the myriad of teas and products that they have to offer. Wow, I've never really thought about using tea bag at home.I will Try My Tea.